There are a lot of fruits, vegetables and culinary herbs you can grow in your newfound vertical gardening space. 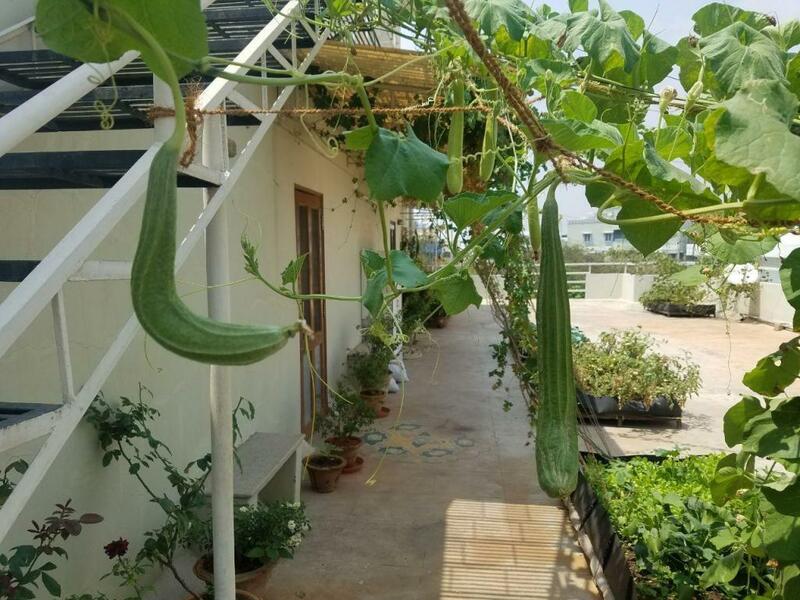 In addition to pole beans, you can also grow other vining vegetables such as cucumbers, melons, pumpkins, squash and gourds. Smaller, more compact plants like herbs and edible flowers do well in smaller spaces like hanging baskets or wall-mounted units. By “suckering” or removing side stems from tomato plants, you can train them to grow in a more upright fashion. In addition to saving space, this process can also help your tomato plants stay healthy and become more productive.